Camping Site At Geiranger Fjord Shore. Evening Light And Calm.. Stock Photo, Picture And Royalty Free Image. Image 68462633. 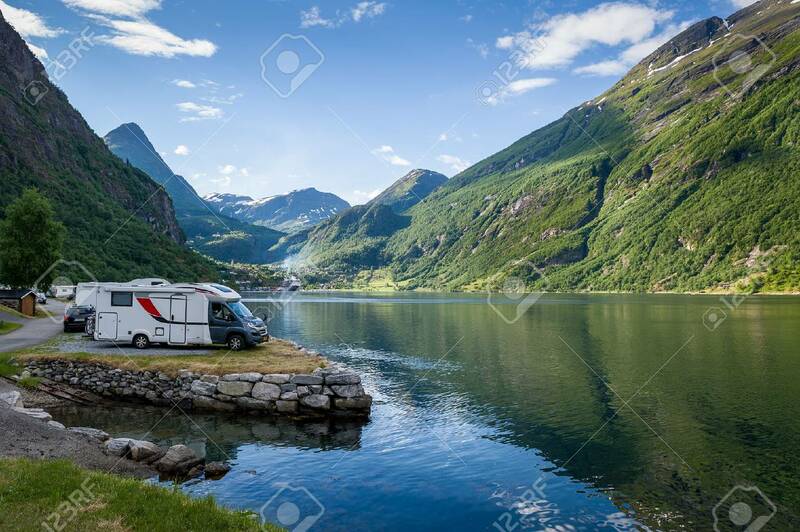 Stock Photo - Camping site at Geiranger fjord shore. Evening light and calm summer day in Norway. Camping site at Geiranger fjord shore. Evening light and calm summer day in Norway.